​Elmer L. Johnson, father of LovingGodFellowship.org founder Reverend Gregory A. Johnson, went home to be with the Lord on June 17, 2013. Elmer L. Johnson, 82, of Proctorville, OH, transitioned peacefully to his heavenly home on Monday, June 17, 2013, at St. Mary’s Medical Center in Huntington, WV. He is survived by his loving wife of 61 years, Lois Ann Morrison Johnson, who was the love of his life, his best friend, and loving caregiver. Elmer was born in Ironton, Ohio on January 7, 1931 to the late Reverend Andrew H. Johnson and Maude Mae Wills Johnson. He graduated from Elizabeth Rural High School in Pedro, OH in 1949. In 1960 he obtained his degree in Tool Engineering from Allied Technical Institute in Chicago, IL. A Korean War Veteran, he spent four years in Korean waters aboard the U.S. Navy Hospital ship, USS Haven. After 27 years of service, he retired from Huntington Alloys, which is now known as Special Metals. Elmer was a man of great faith who walked humbly before God and served as a deacon and board member for many years at Bethel Temple Assembly of God in Huntington, WV. 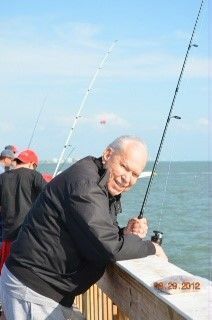 Since he loved being in the woods and on the water, he was a naturally avid hunter and fisherman. Preceding him in death were three brothers: Thoral, Paul, and Andrew H. Johnson, Jr. In addition to his immediate family, he is survived by many nieces, nephews, family and friends. Elmer was a gentle and loving man, and will be missed by all who were privileged to know him. We are all comforted by knowing that he is now resting in the arms of Jesus. Visitation will be at 2:00 p.m. on Friday, June 21, 2013 at Phillips Funeral Home, 1004 S. 7th Street, Ironton, OH. Funeral services will follow at 3:00 p.m., with Reverend Gregory A. Johnson officiating. Burial, with military rites, will follow the funeral service at Sugar Creek Cemetery. Condolences may be offered to the family at www.phillipsfuneralhome.net. Contributions in memory of Elmer may be made to www.lovinggodfellowship.org or to the Ohio Alzheimer’s Association.